If you have any interest in France, whether it’s the beautiful buildings, or simply the culture, this exhibition is the place to go. In fact, even if you’re not so very interested in France, this is still be a fun place to be. 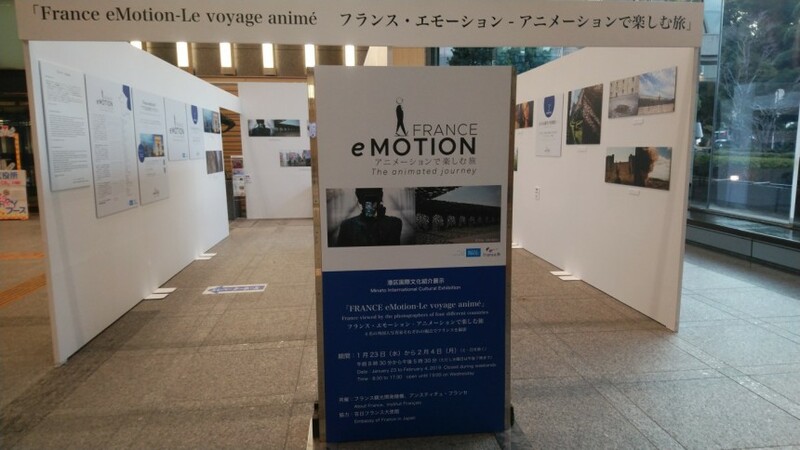 As a collaborative exhibition between Minato City and the Embassy of France in Japan, Minato City Hall will be hosting an exhibition of France presented by four photographers each from different countries. Here, you will see the history, culture and famous touring spots in France — from four completely different perspectives. The best part about this exhibition is how these photos will be presented: rather than simple prints, you will see them along with animation. Each respective animation is very creative, the experience becoming not only more interesting but engaging. You’ll feel like you’re on a journey in France!